When it comes to stationery design, you may or may not have an exact idea in mind as to what you want. With so many designers out there, it may even add to more confusion as to who offers what services. As a deluxe custom stationery designer, OKOTA prides itself on offering benefits to our stationery design process that you won’t get with other designers. There are so many benefits to hiring a custom stationery designer like us, so we’ve covered the best ways we stand out from the rest. We like to know our stuff, so we do our research when it comes to you, your venue, and your florals. 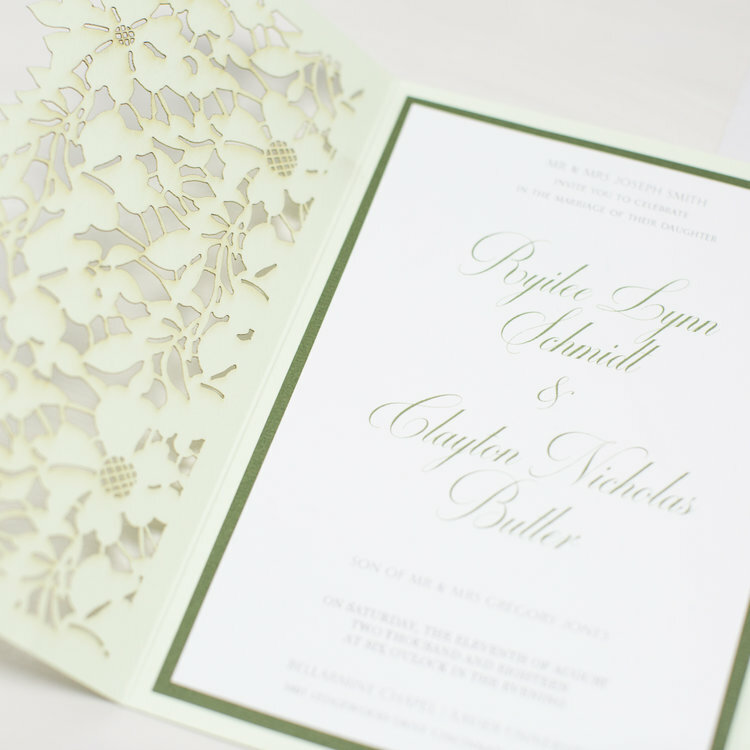 Knowing everything about these helps us when it comes to designing custom stationery. We can tie in the design to go with your personality, your décor, and your venue so that it’s all seamless. Don’t worry about having to remind us to coordinate it with the other parts of your wedding, because we’re one step ahead of you! One unique quality about hiring a deluxe custom stationery designer is that you can create personalized sketches and paintings. Want a cool sketch of you and your significant other on the card? We can do it! Want your beautiful venue scenery incorporated into the design as a painting, we can do it! Although invitations may seem simple when it comes to design ideas, having something like a sketch or painting these personalized means you won’t have anything else like them. You can even frame them for display afterward too! The last thing you probably want is a font that looks like it came straight out of Word or that doesn’t coordinate well with the rest of your invitation. With a customary stationery designer, you can compare different fonts to see what works best on your invitations and what pairs well with each other. You don’t want your fonts to be too overwhelming or clash, so professionals like us can help identify the best pairings for your stationery and invites! You know when you order something online and it looks great, but then you receive it and it’s nothing that you pictured it to be? Yea, we hate that too! Thankfully, customary stationery designers can do sketches of your layouts so you can see what they will look like before you get them. This means you’ll know exactly what you’re getting, you can make any tweaks or changes, and there won’t be any surprises in the end. This isn’t very common for companies to do, but OKOTA does not limit the number of revisions for stationery designs. Sometimes it’s a little tweak here and there with the colors or a change of wording. Either way, we’ll revise it for you for as many times as it takes. We want to make sure you get exactly what you want and will work until your 100% in love with them. So when you’re ready to begin your stationery design, remember that deluxe custom stationery designers like OKOTA offer many perks when it comes to creating your perfect stationery! If you’re interested in a stationery consultation, you can fill out a quick online form here.